It’s no secret that much MEP work today misses out on the benefits of BIM. A crucial case in point is the design of sprinklers and fire protection systems. What happens? Isn’t there a better way? 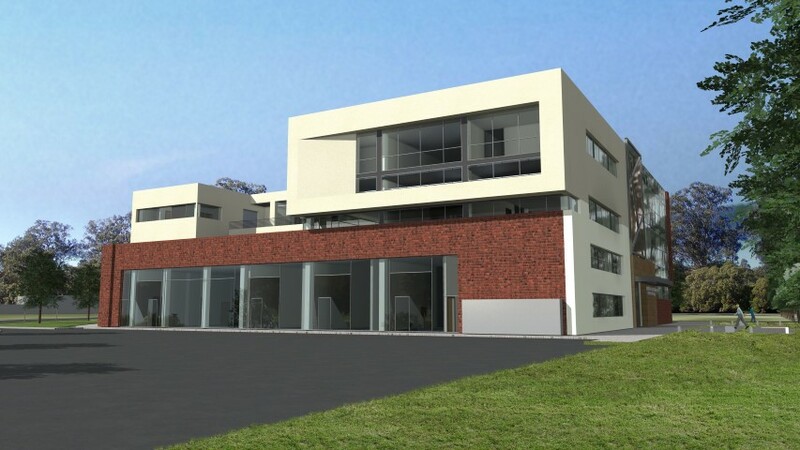 There is indeed, as we at AGACAD have discovered in our ongoing consulting and software development work with top BIM professionals around the world. 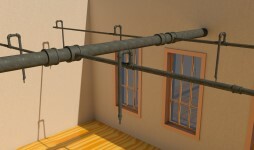 It’s now easy to involve sprinkler engineers in BIM projects. For faster better results. Lower costs. And new business opportunities. Numbering elements, importing external data, making legend, adding dimensions, making & managing sheets and other element modeling and documentation tasks are main daily work headaches for each Autodesk® Revit® user. Do you know how to boost Revit model performance and simplify project documentation? On the second week of June we are hosting webinars on all our inexpensive but very effective Revit apps’ overview for Architects, HVAC Engineers and Structural Engineers. We kindly welcome you to join the corresponding session and see what productivity tools for Revit every Architect / Structural Engineer / MEP Engineer needs to have for performance of daily tasks. We’ll provide a short overview of productivity tools for Revit for each building designer’s workstation. In these webinars for building designers you’ll see a short overview on our simple but highly efficient tools that increase design productivity when modeling buildings and preparing documentation. Below you can find a description of each webinar and registration links. 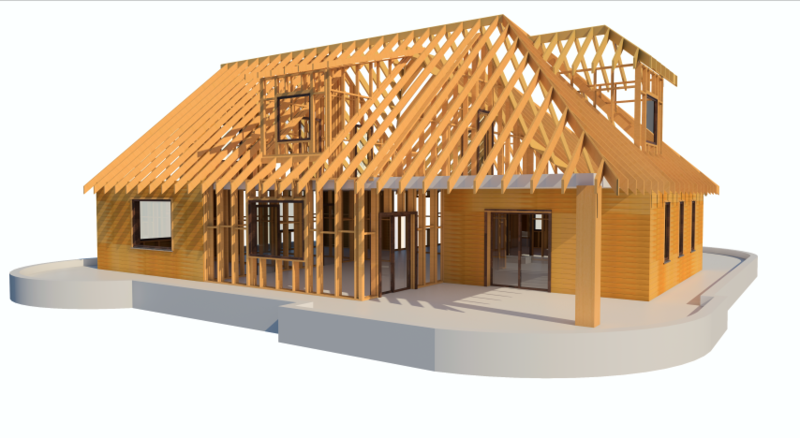 Do you know how to save time on framing Autodesk® Revit® model? 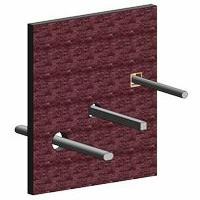 How to frame multilayer wall panels using custom main frames, vertical or horizontal nailers, vertical, horizontal or mixed sidings? How to easily control complex multilayer connections between walls? 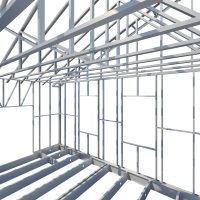 There are more questions important to timber frame building designers, architects and structural engineers: How to create complex truss system according to my roof shape? How to frame wood floor system that includes wood framing, subfloor panels, and floor finish materials such as hardwood? How to easily make shop drawings or export data to CNC machine? And finally: how to build a log house using BIM model in the right way? We would like to show you how to change the way you work, so you have more time on making decisions. Look how an ideal BIM workflow happens using AGACAD Wood Framing Suite: quickly create your model in Revit, export it to Autodesk® Robot, analyze it and make required changes, then export it back to Revit where you can create shop drawings etc. This webinar will help you to discover wood framing design techniques that minimize frame modeling issues and highlight BIM workflow tips that improve project quality, design flexibility and productivity. Do you know how to quickly and easily create openings around the Ducts, Pipes, Cable Trays and Conduits where they intersect floors, walls, roofs, ceilings, beams, and columns? Attention! Webinar recording is now available! Join us for a 30 minute presentation and watch live how to quickly and easily manage the creation of openings where MEP elements intersect walls, floors or other structural elements. Do you know how you can efficiently manage and control the quality of Autodesk® Revit® projects? How to simplify work with Revit data and save time? How to find and manage Revit families, views, sheets, materials and view templates? Using proper tools, Revit users can easily audit their Revit projects, save time transferring Revit families into a new LOD definition, as well as find and cleanup many errors that may be lurking. We would like to show you how to change the way you work, so you have more time to design. Please, join us for a presentation on managing Revit family parameters, auditing Revit projects, and mastering your Revit Data with our powerful BIM solution BIM Tree Manager. In this class, we will explore how BIM Tree Manager can help to efficiently manage a Revit project, maintaining its quality and thereby saving valuable time. If you are a BIM Manager, Architect, Structural Engineer, MEP Engineer, Contractor, Operator or Owner then this is the class for you. You are welcome to join us on a free webinar on 2nd of April and know what's important to all Revit users. Live online training will provide you the guidance to speedy building design, facility management and BIM data analysis in the current or linked Revit projects that are possible using BIM Tree Manager. Also you'll be the first to know new features of an upcoming BIM Tree Manager version. We periodically hold webinars of our product presentations. Most of those webinars are dedicated to designers all over the world but some of them are made for specific markets. This time we want to introduce you an upcoming seminar for the Dutch market. AGACAD together with a company Itannex, which is an exclusive reseller of AGACAD products in the Netherlands, are organizing a webinar on tools that help you effectively manage and control the quality of Autodesk® Revit® projects. While the intro webinar will be in Dutch, the whole demonstration of BIM software will be held in English. So we kindly welcome you to join us on the 23th of March for a free webinar session about LOD and BIM quality control using AGACAD software BIM Tree Manager. The main theme of this webinar is how to facilitate work with Autodesk® Revit® software for IPD team, BIM Managers, BIM Modelers, Project Managers, Architects, Designers, Engineers and Contractors. Attetion! Webinar recording is now available! We kindly welcome all Revit® Architecture and Revit® Structure users to our FREE WEBINAR on quick and professional cold formed steel system modeling and generating field frame documents for the builders. Please join us in a live webinar about easy light gauge steel structures modeling in Revit. 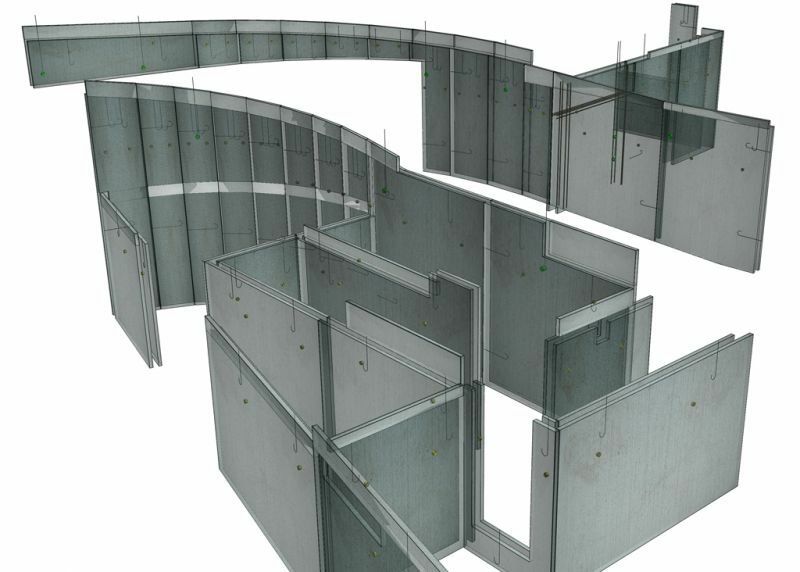 Learn how to use our BIM solutions for metal framing that enables generation of metal walls, quicker roof or floor framings, automatic preparation of drawings and exportation of all required data to CNC machines. Can you imagine that design of reinforced concrete structures can be effortless? We want to show you that it's true. As we look for ways for Autodesk® Revit® users to be faster and more productive in creating reinforced concrete structures and shop drawings, please join us in the webinar about the design of concrete structures. During this live session you can see how to model reinforced concrete structures faster and more precisely. Want to learn more about raising your daily work efficiency? Watch the new web session on AGACAD products. This time we kindly welcome all Autodesk® Revit® users who create MEP designs to register and attend our free webinar which will be held on February 19, 2015. This session is designed for those who are in search of possibilities to boost their work productivity in MEP projects.